The neighborhood surrounding St. Patrick’s Square has seen many changes in recent years. A large number of Hispanics and Vietnamese consider St. Patrick’s to be their own. 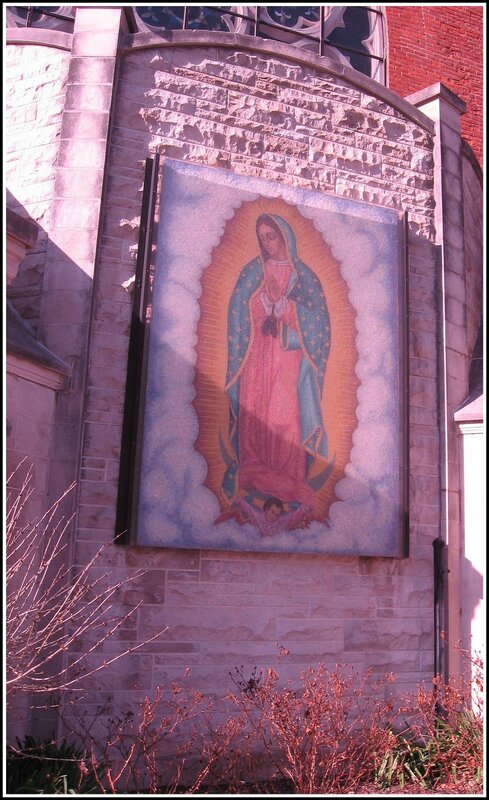 An outdoor shrine in honor of Our Lady of Guadalupe was erected on the south entrance to the church and blessed on August 15, 1992. The stones for this magnificent mosaic were obtained from the quarry in Pietrasanta, Italy. The north entrance, near St. Joseph’s Altar, and a restroom were added in December, 1993. The convent was razed to make extra room for parking and a Memorial Garden in 1995.The Memorial Garden features a statue of Jesus and the children of the world and a stone Celtic cross which were dedicated in 1997. 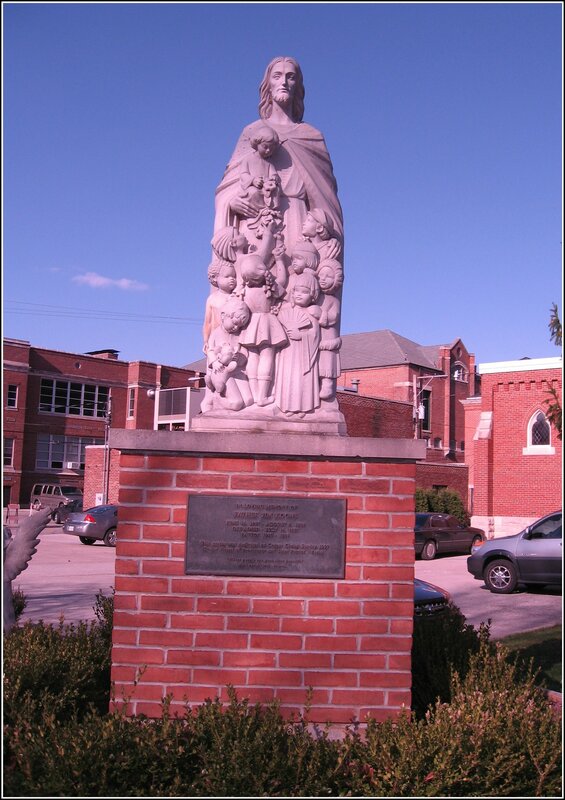 A statue of St. Therese of Lisieux was also dedicated in 1997 outside of the north entrance of the church. Extensive work was done on the Wick’s organ to refurbish it to its full capacity in 1997 and a new slate roof was added to the church in 1998. 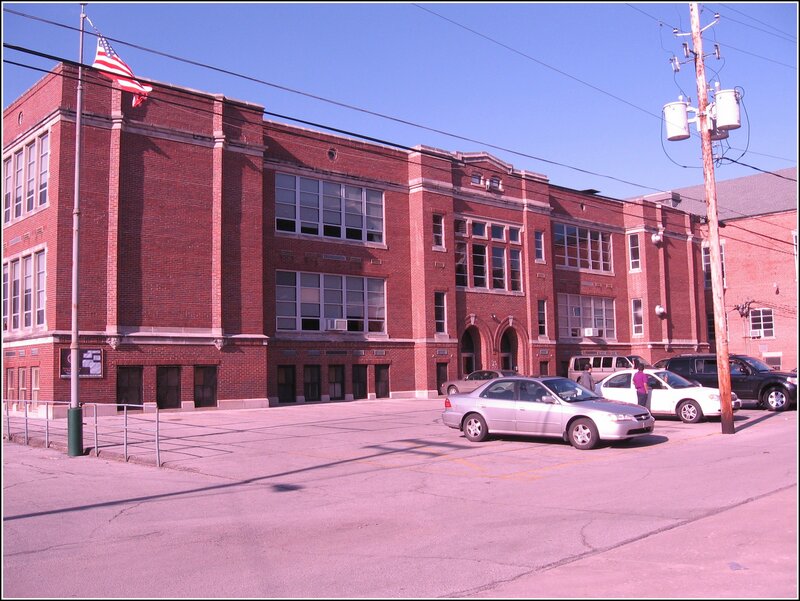 The school closed in 1993 and the building was home to St. Patrick’s Clothing Closet and the ASK Medical Clinic, both non-profit, to help those in need, for a number of years. The Religious Education classes are now held in the school with upwards of 300 parish schoolchildren in attendance each year. These classrooms were updated in 2010. An electric panel installation and rewiring of the church were completed in 2001. The north exterior round window as well as all the exterior windows of the church were scraped and had new glass installed in 2003. Other additions of 2003 included a new sound system and heating and air conditioning for the church. 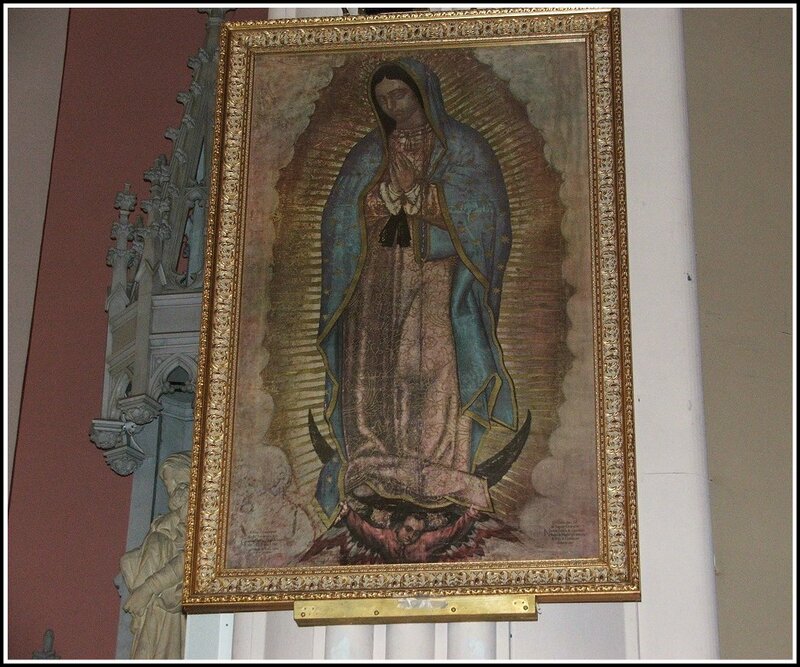 With the merger of Saint Paul’s in that same year, our parish was graced with a painting of Our Lady of Guadalupe on the pillar next to the ambo. 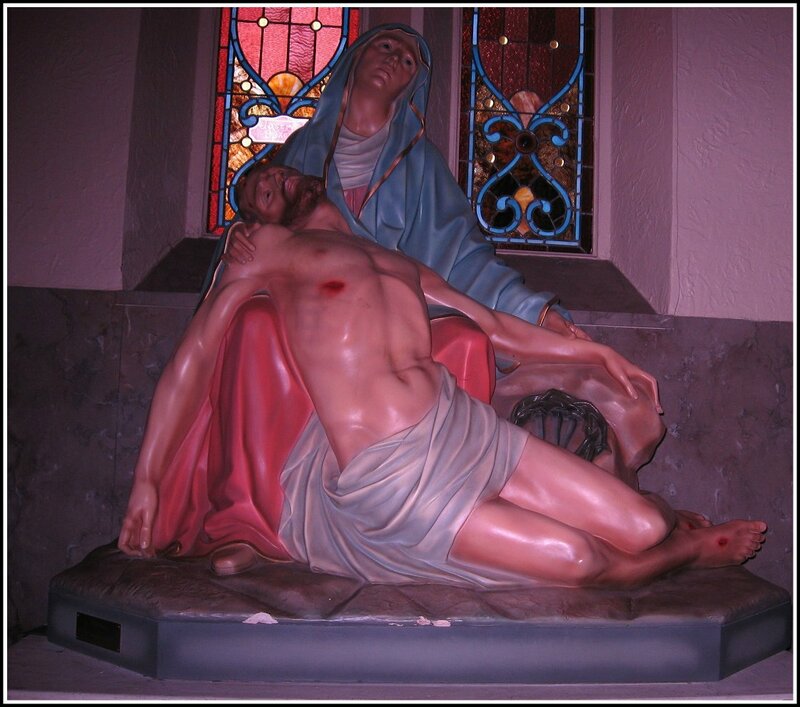 Also brought from Saint Paul’s were statues of the Agony in the Garden (now housed in the Cathedral Museum) and The Pieta which is located in the main vestibule. New lights for the statues of Our Lady and Saint Joseph were added in 2004. The school was reroofed in 2010. Also implemented in the school building are neighborhood meetings. The Clinica Madre de Dios opened its doors in 2010. 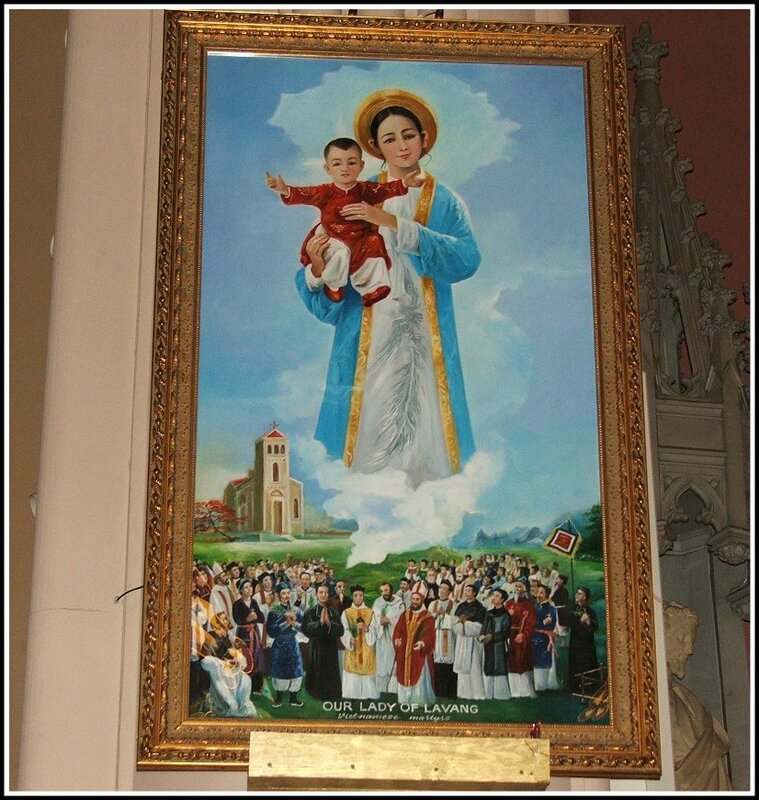 In 2011 a picture of Our Lady of LaVang was added on the pillar above the celebrant’s chair. The church bells were revamped in 2012 to once again herald Masses.